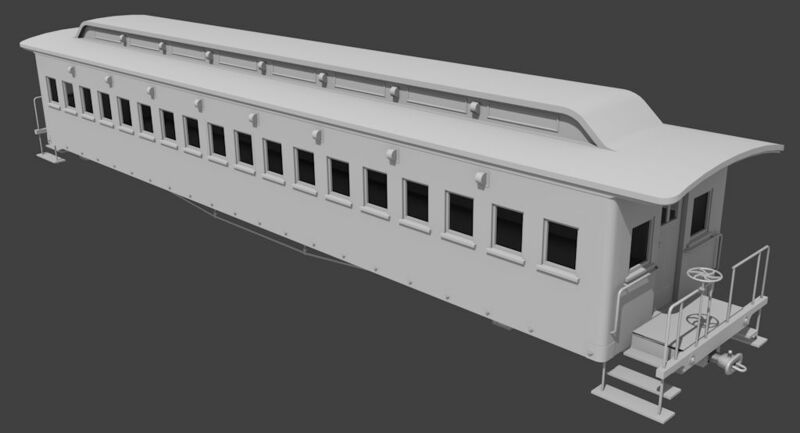 Recreating the Golden Spike driving in Trainz. I'm not sure about the ventilators, but I think that looks close? Anyone have any ideas on coloring / lettering / striping? Comments / criticism more than welcome! Looking good. I think you need to also do the provision (baggage) car seen with it. Thanks, Brian! The provisioning car (and the auxillary tender) are both on my list - although I don't know if the aux. tender was at Promontory that day.